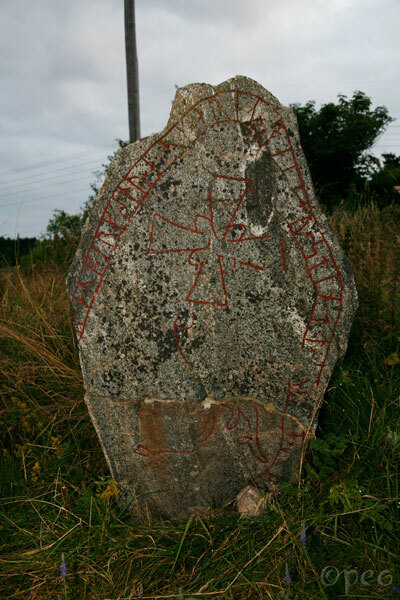 Two rune stones standing side by side on the outskirts of Bålsta. Ôlvé had this stone raised in memory of Arnfastr, his son. He travelled to the east to Garðar (Russia). 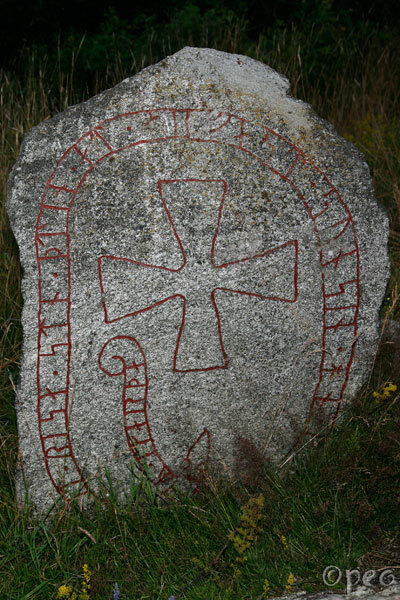 Arnfastr is mentioned on both stones, but it can't be the same person, since the father raised the stone in menory of the son on one stone, and the other way around on the other one. It's interesting about the mentioning of Garðar.